Chevrolet India has launched the refreshed compact Sail sedan and hatchback in India today with prices starting at Rs 5.19 lakh (around $8,500 USD) and Rs 7.64 lakh (just over $12,500 USD). 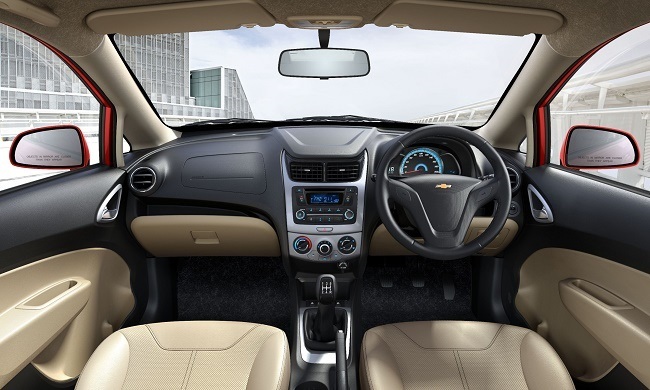 Chevrolet first introduced the Gamma-based Sail in 2012 for India and other emerging markets and celebrated a milestone in July after selling 1 million examples of the car. This update mainly focuses on the interior, which Chevrolet says is inspired by the Corvette, though were failing to see the resemblance. The interior has more soft touch points and utilizes a new black and beige dual-tone scheme with icy blue accent lighting on the gauge clusters, climate control dials and more. Silver surrounds for the door handles and gear shifter and chrome rings on the HVAC knobs also lend to the interiors more upscale feel. A new 2-DIN stereo system with Bluetooth functionality capable of pairing up to five phones and streaming audio rounds off the major cabin changes. On the outside changes remain limited to chrome surrounds for the foglamps and a chrome strip on the trunklid. Both sedan and hatchback versions of the Sail are powered by the same 1.3-liter Fiat Multijet diesel engine producing 73 horsepower and 140 lb-ft of torque. The only gasoline engine on offer is a 1.2-liter GM Smartech four-cylinder producing 79 horsepower and 79 lb-ft. The new Sail is also equipped with passive and active safety features such as an engine immobilizer, central door locking, sensitive automatic door locks, and remote keyless entry. It also comes with standard dual airbags, an anti-lock braking system and electronic brake force distribution. I actually like Sail, wish it were sold in NA. Far more attractive than Sonic. I like One Ford; think it would be wise for GM to globalize small Opel offerings like Corsa and non-Verano Astra for Chevrolet outside of Europe. These offerings are better, by numerous metrics, than Spark and Sonic, and would benefit from global scale. Already China has shifted Spark to Boajun in favor of Sail. To better compete against Ford, Chevy must sell the best GM offerings. 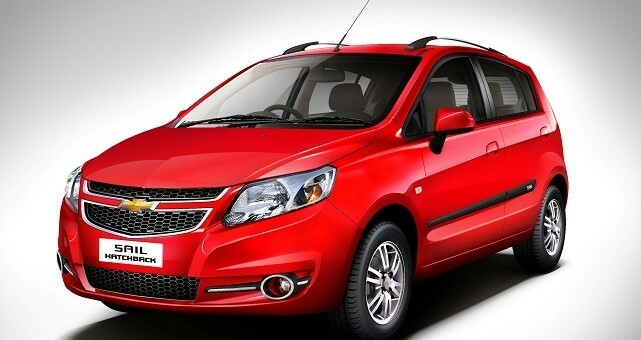 Sail is derived from old Chevrolet Corsa-B Sedan, built in Brazil and Argentina, later renamed and downgraded to Corsa Classic when Corsa-C was introduced. This excellent Opel platform has outlived it´s C successor and was still used in Agile, Montana, and Classic. Unfortunately GM opted for extremely ugly sheet metal and fascias here. Sail really looks far better.